20 year old defenceman Jarvis Mewett will continue his development at the Dynamos after the blue liner committed himself to the club where he spent many of his junior years for the 2016/17 campaign. Jarvis Mewett returned to the Dynamos for 2015/16 having previously appeared for the junior sides in Gillingham. In 2009/10 he was icing for the under 16s before also dressing for the under 18s the following year. Come 2011/12 the young defenceman then split his campaign between Kent and the Streatham Royals before Lee Valley gave him a bridge between junior and senior hockey in 2012/13. Mewett would ice for both the under 18s and the Lions in the NIHL South’s second tier that season and he would do the same the following term – this time captaining the junior squad whilst also making his mark in Division 2. In 2014/15 he then spent a full term with the Lee Valley Lions before Dynamos Head Coach Kevin Parrish invited him to return to Gillingham last season. Back in Kent Mewett was ever present for the Mos and dressed for all 50 fixtures notching two assists from the blue line in his debut NIHL South Division 1 campaign. 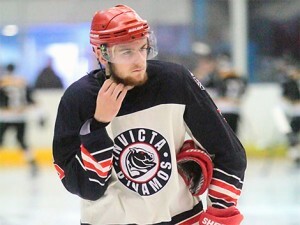 Now the blue liner will be hoping to build on that first term and cement his place within the NIHL South’s top tier. 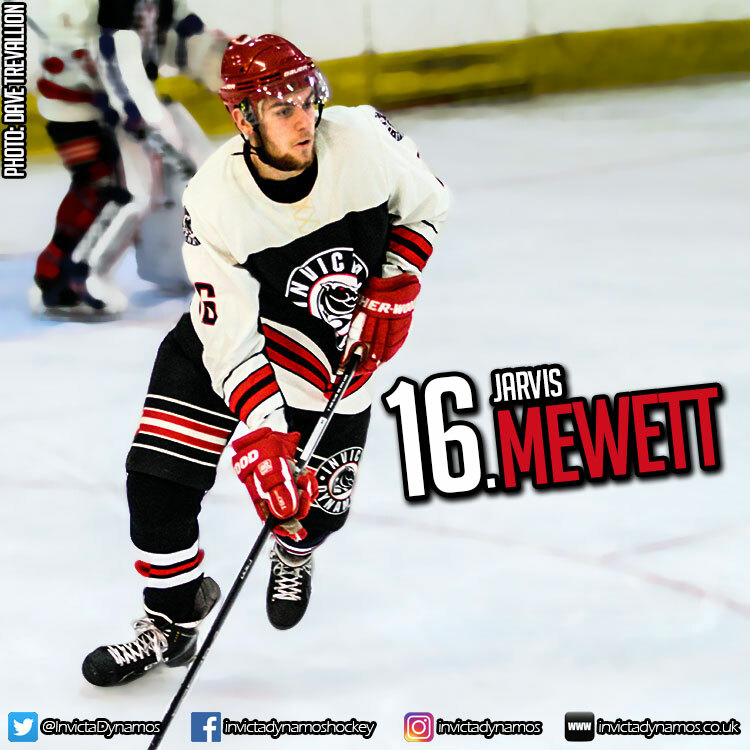 Speaking on the return of number 16 Jarvis Mewett, Head Coach Kevin Parrish said, “Jarvis is still a young defenceman finding his way in our league but he has the tools and the attitude to be a solid player at this level. He was at every game for us last year, he’s hungry to learn and he wants to push himself and I had no hesitation in inviting him back for another season. Jarvis spent a number of his junior years with the Mos and is proud to wear the badge and 2016/17 represents an opportunity for him to continue to develop and make his mark in the NIHL South Division 1. I look forward to working with him again after the summer and I know he will be keen to return to the ice come September”. The return of Jarvis Mewett takes the team roster into double figures and Head Coach Kevin Parrish will push that figure higher again come Friday with news of another returnee. Stay glued to the club’s official website, Facebook page, Twitter feed or Instagram to be first with the news. Warm-up Jersey – For just £125 get your name or logo printed on the back of Jarvis Mewett’s warm-up jersey. Sponsors are then presented with the jersey to keep at the end of the season. Game jerseys – Get your name or logo on the back of Jarvis Mewett’s game jerseys and become a part of the action.